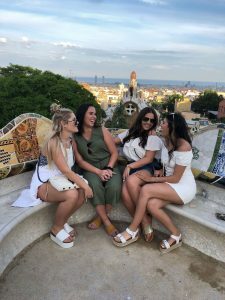 We caught up with SAI Ambassador Molly, who answered some questions about her summer in Barcelona. I have always known I’ve wanted to travel as much as possible in life. I chose my major based on what would allow me to travel. I chose my university based on who would let me travel as much as possible. 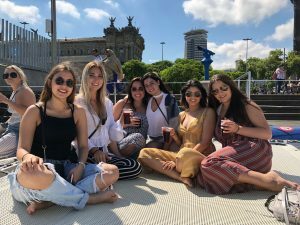 So studying abroad the summer after my first year was not a surprise to myself or those who know me. However, I never expected to love it as much as I did. The ability to see new places, meet new people, and experience new cultures was something I never wanted to give up. So, as soon as I returned from my study abroad I started planning my next trip. And the one after that. And while my desire for traveling was always present, my priorities have shifted. I am now more focused on finding new opportunities to find my passions abroad and exploring as many new places as I possibly can. About halfway through our trip my roommates and I discovered our favorite little cafe in the El Born neighborhood. It was our favorite because it had iced coffee, and yes we know that’s not very Spanish but hey at least we weren’t at Starbucks. After a couple trips to the cafe we began to discover more and more about the neighborhood. Eventually we were going everyday between our morning and afternoon classes. We would hop on the metro and in just two stops we were in the middle of an incredible neighborhood full of local boutiques, artists, and delicious cafes to explore. 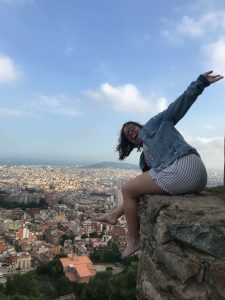 Spending a few hours in El Born was something I began to look forward to everyday and I cannot wait to return to my favorite area one day soon. If you can, travel while you are abroad. Most definitely take the time to explore your home city. But, if it’s something you’re interested in, traveling throughout Europe is the one thing I recommend above all else. In the six weeks I was abroad in Barcelona I also traveled to Amsterdam, Portugal, Ibiza, and Prague. These short weekend trips made my experience immeasurably more special. I went into the trip knowing that I wanted to explore Europe but I never imagined how feasible it would actually be. Getting to spend time in four countries within one summer was an experience that will be hard to beat. 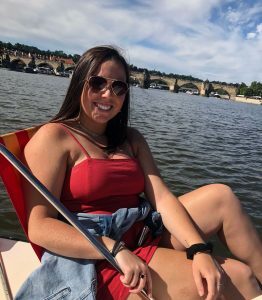 My trips allowed me to learn about more places and cultures within Europe as well as really helped me to grow closer with my roommates. They also added a lot to the Cross-Cultural Management class I was taking because I got to see, first-hand, the differences in lifestyles that I was learning about in my class. 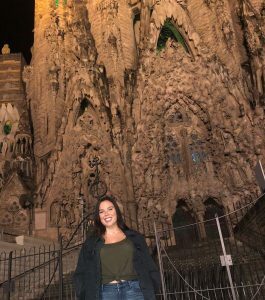 Molly was a summer 2018 SAI Barcelona student from the University of South Carolina.